On 12th July 2017, had the opportunity to visit Dr Peter Kong Specialist Eye Center in Kota Kinabalu and witness the first Xen implantation in Sabah state of Malaysia. The first patient was a lady with primary angle closure glaucoma in whom a Xen implantation alone was done. 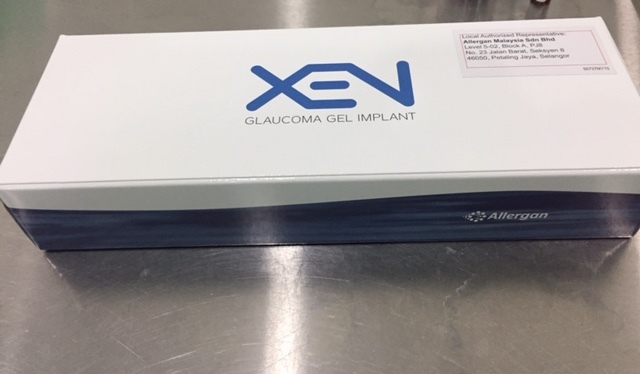 The other, another female patient had an open angle glaucoma, in whom a phacoemulsification as well as Xen implantation was done. Observing the technique from close, it seems like there is a learning curve to this procedure, though not a very steep one. 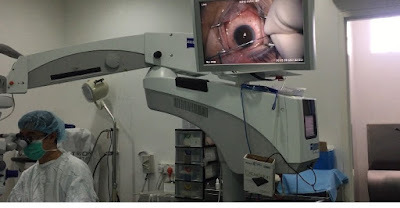 Two things noticed were: (i) the insertor can be made more user friendly and (ii) the company should find an appropriate blade to put the insertor in the anterior chamber so that the insertor and anterior chamber depth remain stable during the procedure.